Tragically, millions in sub-Saharan African countries die needlessly every year, particularly young mothers and their infant children. Otherwise healthy children and adults are sickened and die from easily preventable and treatable illnesses due to a lack of safe drinking water and the most basic of medications. 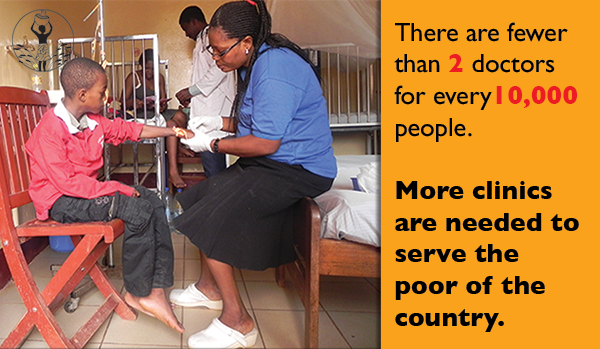 We support health care programs in Cameroon, Ethiopia, Kenya, and Sierra Leone. At Bread and Water for Africa®, thanks to our supporters, we were able to provide medicine and medical equipment to our partners on the ground, who work tirelessly providing around-the-clock care. In Cameroon, more than 4,000 residents of the city of Yanoundé and the surrounding community benefited from a clinic and hospital operated by our partner there, Hope Services. In addition, with the completion of a clinic in Douala this year, an estimated 60,000 people will have their health needs met. well as from United Methodist Church clinics and hospitals. In Ethiopia, an estimated 10,000 or more people received medical care through the Salae University healthcare program at four hospitals and 11 clinics, using the 40-foot container of donated medical supplies and hospital equipment we shipped this year. 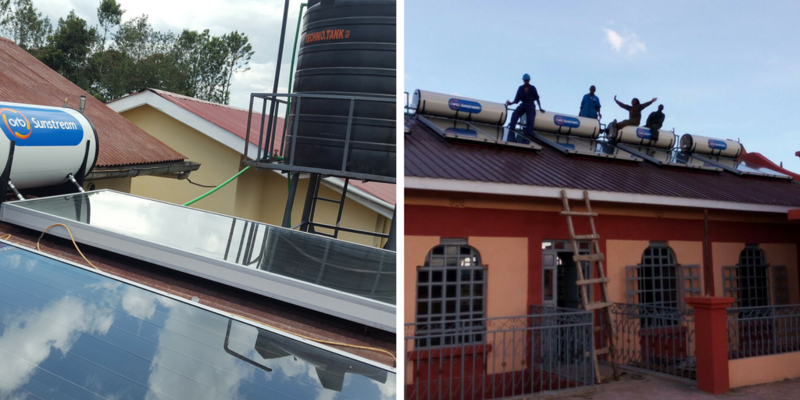 In Kenya, the more than 4,000 people served at the Kebeneti Dispensary will benefit from recently installed solar panels, which provide electricity and hot water. Thanks to the support of African children through your generous gifts to Bread and Water for Africa®, we started funding the construction of a clinic/hospital in Douala about three years ago. The clinic was supposed to open in May of 2018, but because of the election of the new president in Cameroon and some civil unrest in the north of the country, the opening was delayed. Now, the clinic is finished and ready to start helping the people of this poor and disease filled country, but before the clinic can help Cameroonian children, we need to send a major shipment of medical supplies and equipment. Our goal is to raise $20,000 to equip the clinic with medical supplies. Around 30 percent of Douala’s population lives in poverty, and the clinic will serve tens of thousands of mothers and children. They will receive life-lengthening and life-saving treatment there for years to come if we’re successful. Please know that you absolutely can make a difference on Giving Tuesday in so many ways. Click here to support medical supplies for Cameroon. Douala, Cameroon, may be the largest city in the country and its commercial and economic capital, but about 30 percent of the population lives in poverty which is a growing problem due to its steadily increasing population. Unlike Cameroonians living in rural regions who can grow their own foods, residents of the city are at a disadvantage by living in the port city where there are not many jobs available to them. 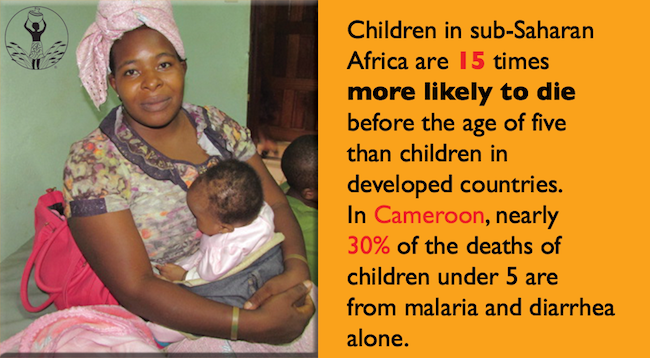 Healthcare services for destitute children and families are dismal, and with a life expectancy at birth for infants born in 2012 of 54 years (compared with 78 years in the U.S.), the prospects for a long happy life for a child in Cameroon are dim. But thanks to you there is good news for the impoverished thousands who need preventative care, or treatment for illness or injury who would otherwise live, or die, without. For nearly three years, we have been working with our partner there, Hope Services Ministry International on the construction of a desperately-needed health clinic, according to Executive Director Bethelhem Tessema. “I am pleased to report that this project is now in the final stages,” she announced recently. “The clinic will be fully operational in May, as soon as painting, clearing, and cleaning is completed. And no doubt also are the tens of thousands of future patients who will receive life-lengthening and life-saving treatment there for years to come. To learn more about the healthcare programs we support in Cameroon, Ethiopia, Kenya, Sierra Leone and Zambia please visit https://www.africanrelief.org/project/health-care/. We don’t always realize how fortunate we are that our mothers had access to prenatal services and a hospital to deliver us in. In Sierra Leone, most women give birth alone in their homes with no midwife or medical aid, putting them at serious risk for complications. Many women die during childbirth due to these complications. Sierra Leone boasts one of the lowest life expectancies in the world. 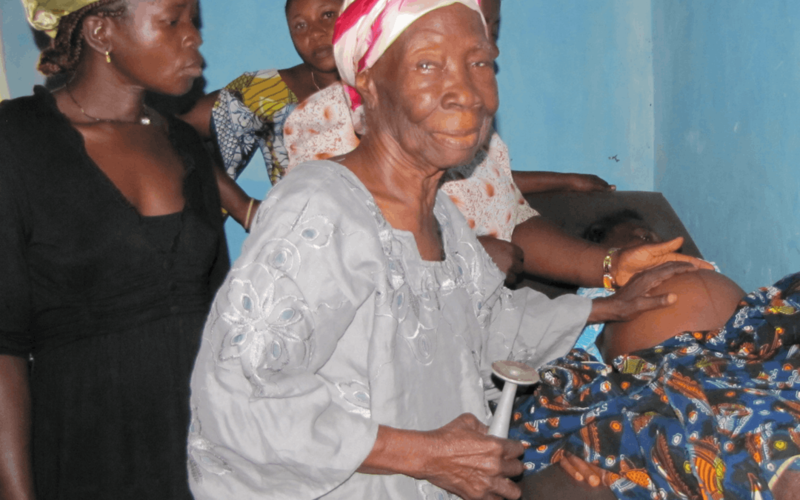 Our partner Faith Healing Development Organization’s (FHDO) clinics in Kenema,Bo, and Rokel and Bunumbu, Sierra Leone are managed by a remarkable woman, Mamie Baindu. She works to provide pregnant and lactating women with services to ensure a safe delivery for mother and child, as well as post-delivery healthcare. Many years ago, a woman named Ballu came to Mamie after hearing of the high-quality care provided by the clinics. Ballu was facing severe pregnancy complications that could have proved fatal. Thanks to Mamie and her nurses Ballu delivered a healthy baby girl. 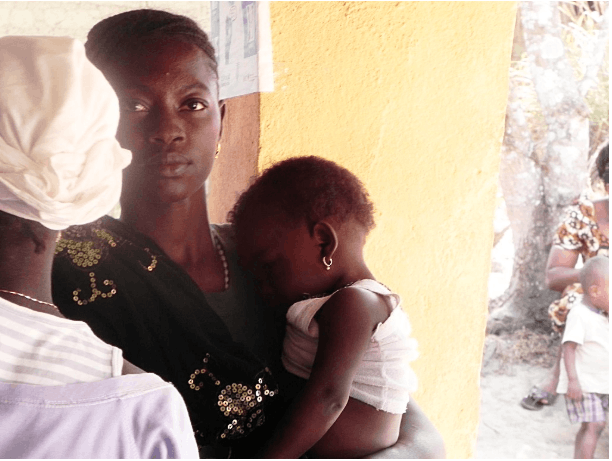 Ballu’s daughter, Hawa, who is now a grown woman living in the city of Freetown chooses to return to the clinic that saved her mother’s life for her health care. Today Mamie and her colleagues deliver up to 15 babies per month at their clinics. They also provide 24-hour emergency care to their surrounding communities. The ongoing support by our friends makes the life-saving, and life-giving, operation of these clinics possible. Earlier this year, we ran pipes from a clean water source about two miles away from the Kebeneti SDA Dispensary in Kericho, Kenya so it would no longer have to rely on rainwater collected in storage tanks and now have access to all the water they need for patients, staff, and to keep the facility clean. However, what remained lacking was hot water, meaning that they had to boil water for sterilization, washing, and bathing. The good news for the clinic, located in the highlands west of Rift Valley about 25 miles from the equator, is that sunshine is abundant throughout the year. To remedy that situation, this fall, with the continued generosity of our supporters, we took the next step by installing a solar water heating system on the roofs of buildings on the clinic compound to provide hot water for doctors and staff to use when showering and washing their hands, and also to aid in keeping the dispensary more sanitary. 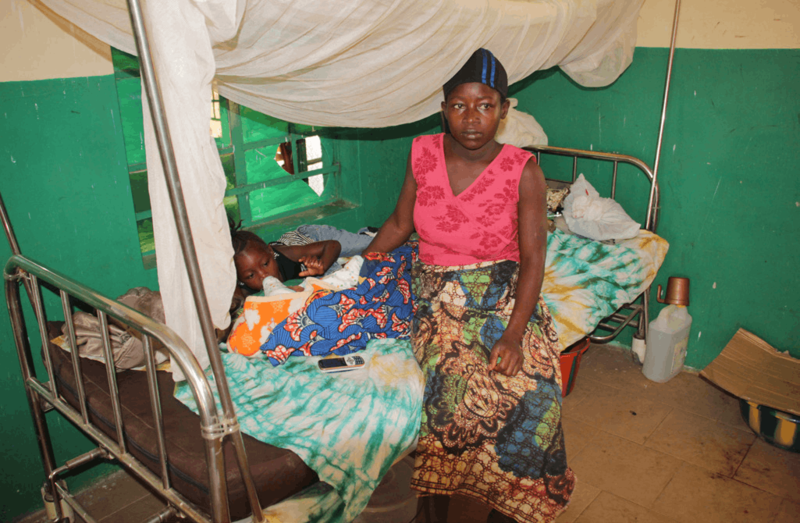 In Cameroon, there is a shocking dearth of clinics and health care facilities for the country’s most vulnerable – impoverished infants, children and new mothers, particularly girls under 15 years old. It’s a dearth that leads to death. For more 20 years, Hope Services has been providing health care for those with little or no money to pay for routine medical services that has saved the lives of thousands in the city of Duala. Prenatal care we take for granted in the United States, is an unaffordable luxury for poor pregnant girls and women – a “luxury” which not only saves the lives of children, but mothers as well. Basic medical care, such as antibiotics for an infection, and medicines for the treatment of malaria, Typhoid fever and many other tropical diseases, makes a difference between being sick in bed for a week or two, or ending up dead. With the success of its long-established clinic in Youande, Hope Services has discovered there is a great need for such a clinic in the city of Douala, about 120 miles away where the poor in the city are not underserved – they are not served whatsoever. 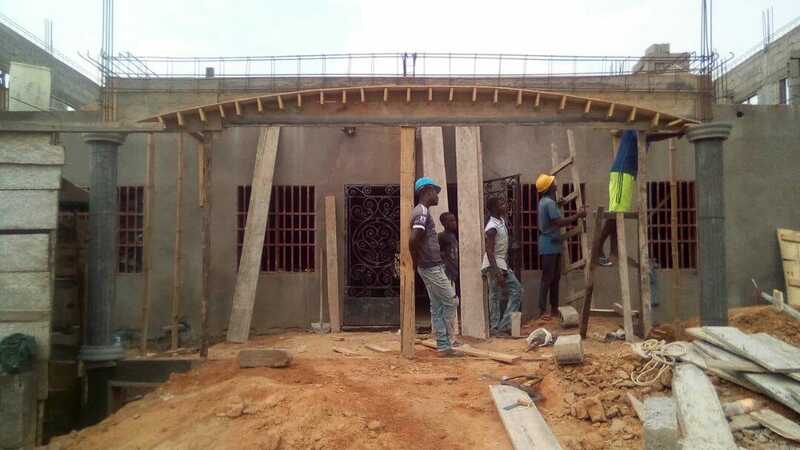 Hope Services is asking Bread and Water for Africa® for our help in constructing this clinic which is projected to provide medical services to 60,000 children and adults in the first year alone. On Giving Tuesday, December 1 we will launch “Clinic4Cameroon” when people around the country are asked to remember those most in need. And on that day, we know our supporters, both long-time and brand-new, will think of the thousands of children and adults who are literally struggling to survive in one of the poorest countries in the world. #Clinic4Cameroon. It’s about the numbers — tens of thousands in the first year, hundreds of thousands in the years to come. 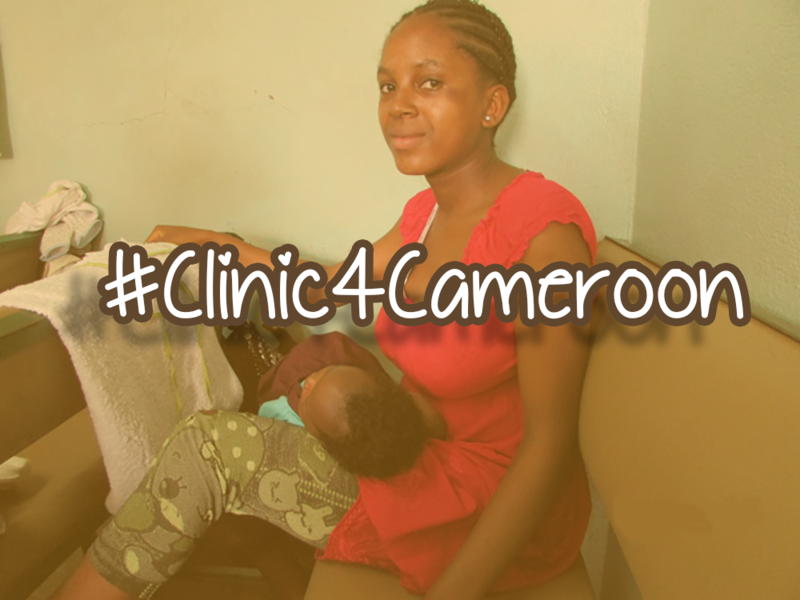 #Clinic4Cameroon. It’s about the 60,000.